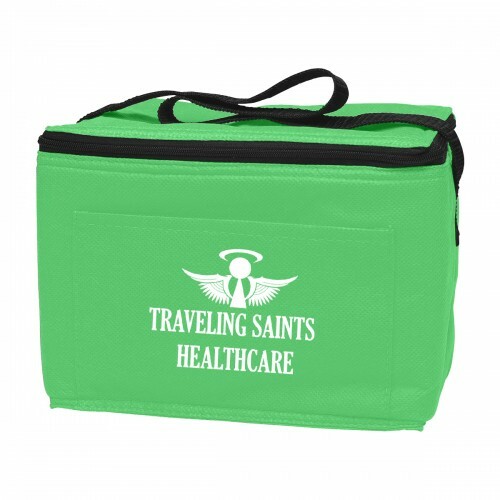 Keep cold drinks on your outings with a custom cooler bag! Ideal for picnics and outings, this 80-gram non-woven, polypropylene cooler bag has a PEVA lining and water-resistant coating. 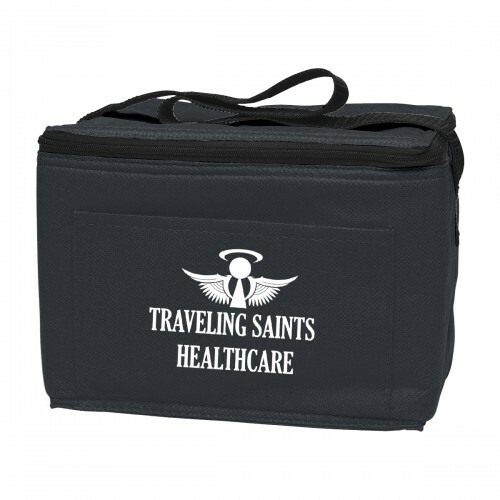 The zippered main compartment is perfectly sized to hold a 6 pack of your favorite beverage. 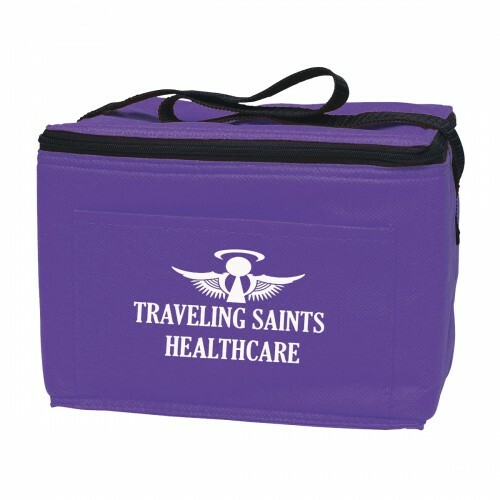 This personalized cooler bag would also be great for use as a lunch bag. 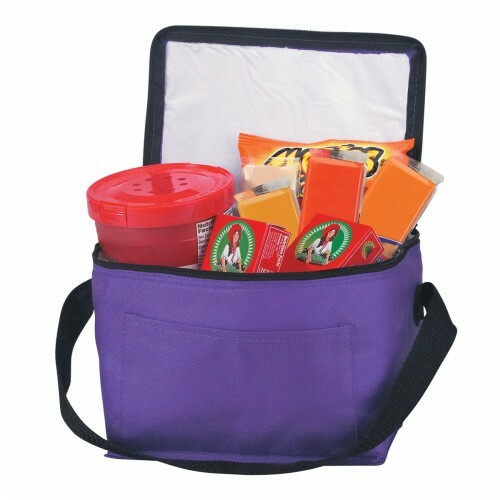 The front pocket gives extra storage for napkins and other accessories, and the 20" web carrying handle makes for easy transport. 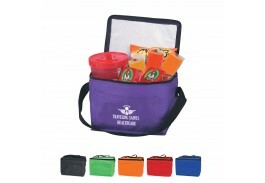 Available in Royal Blue, Purple, Black, Orange, Red or Lime Green, the bag is easy to care for. 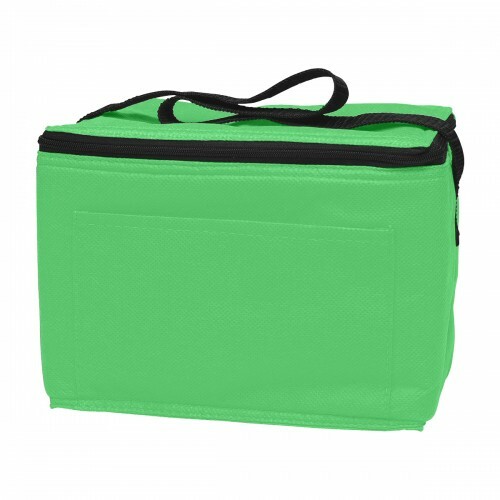 Simply spot clean and air dry to keep your bag looking great. 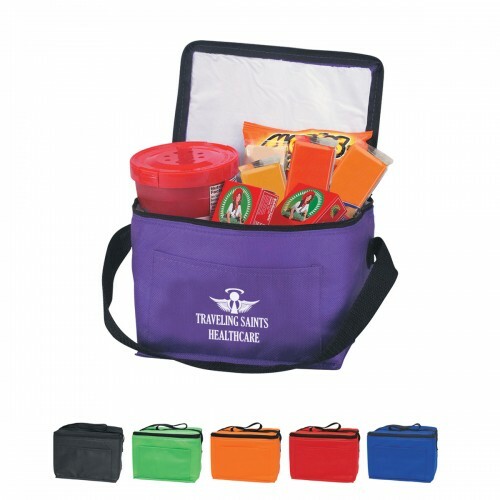 Colors: Royal Blue, Purple, Black, Orange, Red or Lime Green. 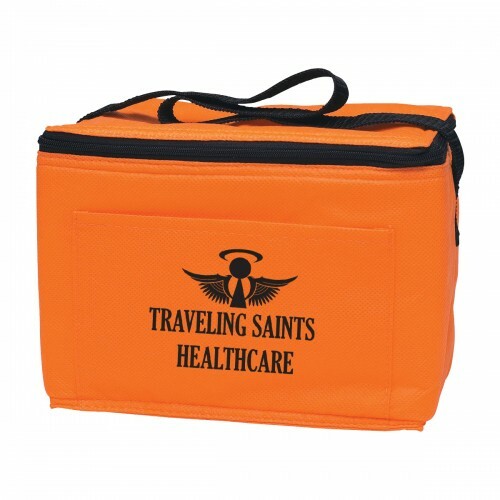 Imprint Area: 4" W x 2 ½" H | All text on Non-Woven items must be a minimum of 1⁄8" thick. San serif, block style font is recommended to achieve best imprint. Please avoid fine lines.